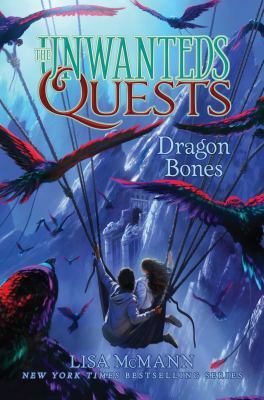 Posted on April 7, 2019 by Sophia D.
These are the opening words of Soman Chainani’s first book in the School for Good and Evil series, also known as SGE to many fans. The first book, which is called The School For Good and Evil, has 488 pages, and can be found in the children’s section of the library. This is one of my favorite books, and it holds deep meaning for me. When I first met my pen pal, this was her present to me. I have cherished this book and series, because it is a reminder of her, no matter how far apart we live. We begin our tale in a small town. We meet Sophie, the epitome of a pretty pink princess. While she goes about her daily routines, including rigorous skin care, and primping and preening, we find out that there are kidnappings in this town, every year. We find out that Sophie is pining to be kidnapped, to go to the school of Good. We also find that Agatha, her ‘friend’, is the perfect candidate to be kidnapped alongside Sophie, and attend the school of Evil. Well, the hopes of Sophie and the assumptions of the villagers were correct. Agatha and Sophie were kidnapped by the Schoolmaster. But, as they are dropped off at the School for Good and Evil, some things did not go according to plan. Agatha was dropped at the School for Good, and Sophie was dropped at the School for Evil. Well, I won’t spoil anymore. I highly suggest checking this out at the library. Happy reads! 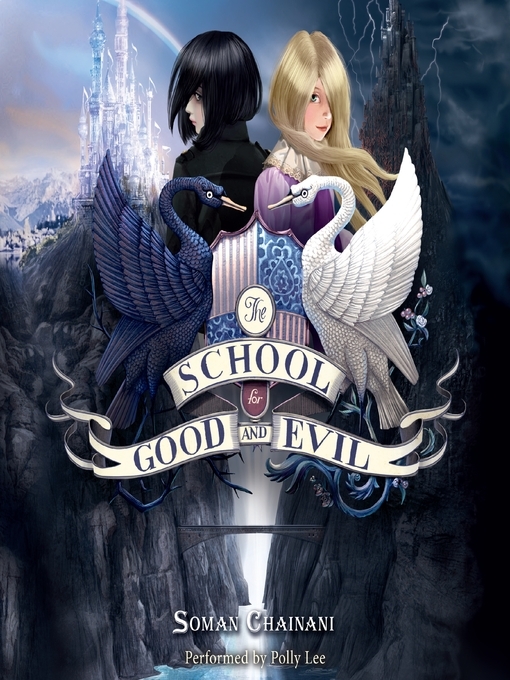 The School of Good and Evil series by Soman Chainani is available to download for free from Overdrive. The death of Harry Potter’s godfather, Sirius Black, has made Harry more grown up than ever before. Now he feels that he has to put an end to Voldemort’s reign of terror, even if it kills him. Dumbledore picks Harry up before the end of summer to go on a mystery errand. The errand is to get Horace Slughorn to teach again at Hogwarts. Back at Hogwarts for Harry’s sixth year, he is extremely excited. He is now the Quidditch team captain. However, Harry also finds out and is gloomy that Professor Snape has achieved his longtime goal of being the Defense Against the Dark Arts teacher. Harry has also started taking private lessons with Dumbledore to learn as much about Voldemort as he can. Hopefully this information will help if Harry ever comes face to face with Voldemort. Early on in Harry’s Potions class he acquires a mysterious book that used to be the Half Blood Prince’s. The book tells Harry everything he needs to know about potions. Harry’s sudden knowledge amazes everyone. He also grows a suspicion that Draco Malfoy has replaced his father as the leader of the Death Eaters. Harry, throughout the year, keeps a close eye on Draco just in case. Ron and Hermione see this idea as a far stretch, but Harry feels like something has to be happening with Draco frequently leaving school grounds. As the year continues, Dumbledore tells Harry that he may be able to go on a special mission to destroy a horcrux. A horcrux is an item that contains a part of Voldemort’s soul. Destroying them makes Voldemort weaker. When Harry and Voldemort leave on their mission to destroy the horcrux, Draco sneaks Death Eaters into the school, and a battle between the Order of the Phoenix and the Death Eaters takes place. Harry and Dumbledore return after getting the horcrux, but they are trapped on the Astronomy Tower. On the Tower, Draco disarms Dumbledore and Professor Snape kills him. Dumbledore’s death had a massive impact on Harry, but it helped him to see what he had to do. 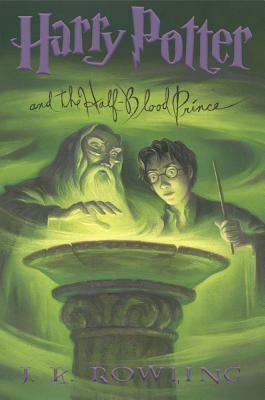 Harry Potter and the Half-Blood Prince by J. K. Rowling is available for checkout from the Mission Viejo Library. It can also be downloaded from Overdrive. In the final installment of the Harry Potter series, Harry knows that he will soon have to battle Voldemort. Now that Dumbledore is dead Harry knows what he has to do to defeat Voldemort. He goes to find and destroy the horcruxes with Ron and Hermione. The journey is tough and eventually Ron and Harry get into a fight and Ron decides to go home. Devastated, Harry and Hermione visit Godric’s Hollow to try and find a horcrux. They come way too close to being caught by Voldemort. A few weeks later Ron decides to rejoin the quest to find the horcruxes. His timing couldn’t have been better as he arrives just in time to save Harry’s life. They find another horcrux and destroy it with Gryffindor’s sword. After destroying the horcrux, they learn about three items known as the Deathly Hallows. If a person has all three, that person becomes a master of death. Harry realizes that he must find all three in order to stop Voldemort. As Harry’s journey continues he realizes that he is the last horcrux. This means that Harry must give up his life in order to destroy Voldemort once and for all. Harry meets with Voldemort in the woods and Voldemort kills Harry. Harry then sees what appears to be King’s Cross Station but all white. He can also see Dumbledore. Dumbledore gives Harry the choice of going back to the living world to defeat Voldemort or moving on. Harry knows what he must do so he returns to the world. Voldemort is shocked to see Harry alive and tries killing him again, but this time with all horcruxes destroyed, Voldemort is too weak and he is defeated by Harry Potter. 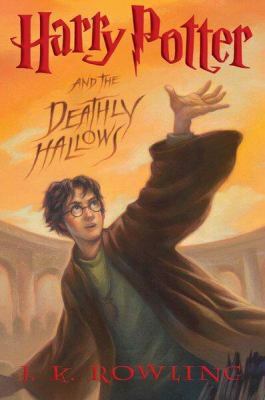 Harry Potter and the Deathly Hallows by J. K. Rowling is available for checkout from the Mission Viejo Library. It can also be downloaded for free from Overdrive. Summer has been normal and boring for Harry Potter until right before the end. Dementors show up in his town and attack him and his cousin Dudley. Harry uses magic to fight off the creatures and, almost instantly, gets sent a letter from the Ministry that is requiring him to go to a disciplinary hearing. At the hearing it will be decided if Harry should be expelled from Hogwarts. At the hearing it is decided that Harry will not be expelled from Hogwarts. Once there, Harry notices a lot of strange things. Skeletal horses are pulling school carriages, but he is the only one that can actually see the horses. Also there is another new Defense Against the Dark Arts teacher named Dolores Umbridge. There are also rumors that Harry and Dumbledore are going crazy for thinking that Voldemort is returning. The only people that stand by Harry’s side are Ron and Hermione. Harry frequently gets detention with Professor Umbridge for lashing out at the people that think he’s crazy. Professor Umbridge soon becomes Hogwarts High Inquisitor which gives her the power to sack teachers whenever she feels that it’s necessary. Because of Harry’s frequent detentions, Professor Umbridge decides to take away the things Harry loves most like Quidditch, Sirius Black’s letters, and the ability to visit Hagrid at his hut. In retaliation, Harry forms a defense group which he calls Dumbledore’s Army. Professor Umbridge soon finds out, and Dumbledore takes the blame. In doing so, Dumbledore has to leave Hogwarts to avoid being arrested. Harry frequently has dreams of dark corridors and locked doors, and his scar prickles very often. Harry then finds out that Sirius Black, Harry’s godfather, was killed, and Dumbledore tells Harry the ultimate prophecy: If Harry doesn’t kill Voldemort, Voldemort will eventually kill Harry. 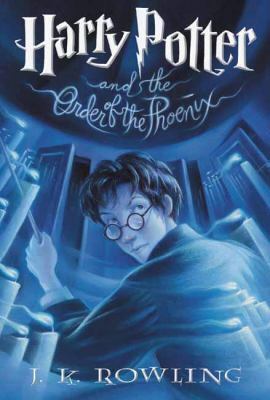 Harry Potter and the Order of the Phoenix by J. K. Rowling is available for checkout from the Mission Viejo Library. It is also available for download from Overdrive. Harry’s third year at Hogwarts is stressful in the beginning. He is constantly being buried under piles of homework. He also learns that Sirius Black, a mass murderer, is out to kill Harry. Mr. Weasley makes Harry promise that he won’t go looking for Sirius and Harry agrees. At Hogwarts, Dementors have been stationed around the school to prevent Sirius from getting in. The Dementors, however, have a worse effect on Harry than any other student because of Harry’s past. Mr. Lupin, the new Defense Against the Dark Arts teacher, teaches Harry how to cast a Patronus Charm which is the only spell that works against the Dementors. Ron and Hermione are constantly arguing because Hermione’s cat keeps trying to eat Ron’s rat. Soon they altogether stop talking because Ron thinks that Hermione’s cat did eat his rat. A few days later Sirius Black breaks into Hogwarts, but is quickly captured. Then as it turns out, Ron’s rat is not only alive, but a real human that transformed himself into a rat to spy on Harry. The man’s name is Peter Pettigrew and he was spying on Harry for Voldemort. Pettigrew quickly escapes before Harry can stop him. Harry finds out that it wasn’t Sirius Black that lead Voldemort to his parents, but that it was Pettigrew. Sirius is actually Harry’s godfather. Harry hopes that he can live with Sirius instead of the Dursley’s, but Sirius has to hide from the Ministry. Professor Lupin turns out to be a werewolf, and it was Sirius that saved the kids from Lupin. 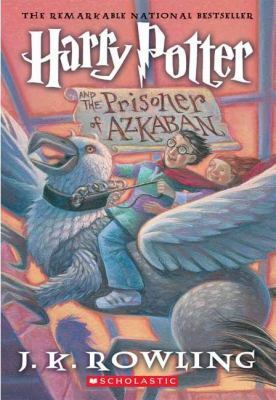 Harry Potter and the Prisoner of Azkaban by J. K. Rowling is available for checkout from the Mission Viejo Library. It can also be downloaded for free from Overdrive. Harry Potter’s second year at Hogwarts is even more eventful than his first. Before school starts, Harry is warned by an elf named Dobby that he should not return to Hogwarts. Harry dismisses Dobby’s warning and goes anyways. At Hogwarts, Harry hears a strange voice coming from inside the walls. Throughout the year, the voice becomes more fierce and soon students at Hogwarts begin to get attacked. Harry quickly finds out, by mistake, that he’s a Parselmouth. Parselmouth is the ability to speak to serpents. When Harry finds this out, people believe him to be Slytherin’s heir and the one who will open the Chamber of Secrets and release the monster inside. Harry then tries finding who is attacking the students. His, Ron’s and Hermione’s first guess is Draco Malfoy. They disguise as Slytherins and ask him if he is attacking the students. Draco responds by claiming that he’s not the one they’re looking for. Soon after Hermione gets attacked and petrified, and Ron’s sister Ginny gets kidnapped and taken down to the Chamber of Secrets. Ron and Harry go into the Chamber to find her and get split up. Harry quickly finds Ginny and destroys Slytherin’s heir who is a young version of Voldemort. 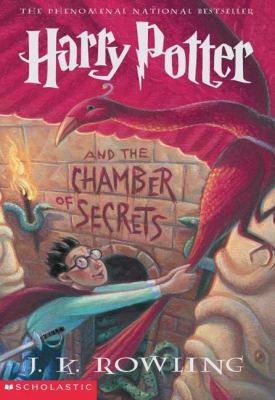 Harry Potter and the Chamber of Secrets by J. K. Rowling is available for checkout from the Mission Viejo Library. It can also be downloaded for free from Overdrive.